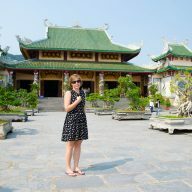 One of the things I love about living in Da Nang is the fact that there are so many undiscovered gems around the city. As soon as you drive a little outside of it, you will soon see something astonishing and breathtaking. 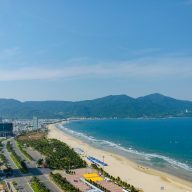 One of the most beautiful areas near Da Nang is the Son Tra Peninsula, which is not only famous for its amazing views, but it’s also lined up with things to do and see. The Man Thai Fishing Village is the first one you should make a stop at. It is located just before the road goes up the hill. The local fishermen supply most of the seafood restaurants in town. If you come here early in the morning (around 6-7 am) you can observer the morning ritual of men getting ready for the day at sea. 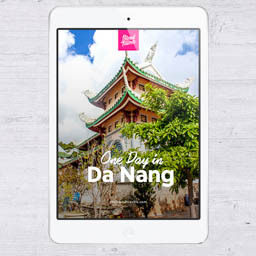 The village preserved the local methods of fishing and today you can have a peek into the traditions and the traditional way of life in Da Nang. 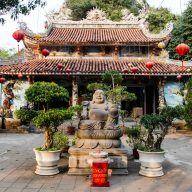 After passing Man Thai you need to stop at the Linh Ung Pagoda, where 67 meters tall Lady Buddha looks down on the village and the city below and protects the people from wind and storms. Two improvised ‘gas stations’ can be found at the crossroads, just by the Sun Peninsula Resort. It is a good idea to fill up your tank before you go further as there are no other points, where you can get gas. First go right and drive ahead. Watch out for little road signs to point you to the Lighthouse, or the Giant Banyan Tree. The first one is a cute, little building and there is nothing much interesting around it, but if you have some time, it is a nice place to visit. Be careful not to drive too fast. 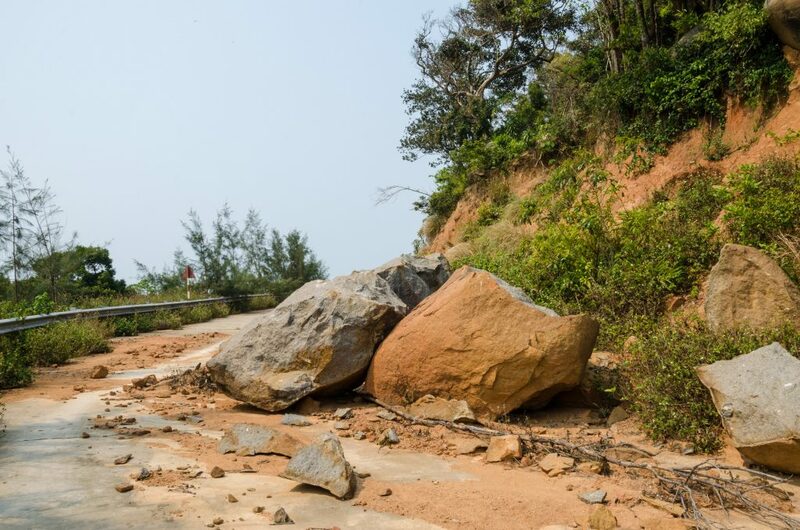 The road is not only steep, but also covered with vines and rocks, fallen from the surrounding cliffs. Every curve should be taken slowly and carefully. You don’t know what’s ahead of you. The Giant Banyan Tree is a great attraction and makes a great stop for a short rest. It is estimated to be almost 1000 years old. 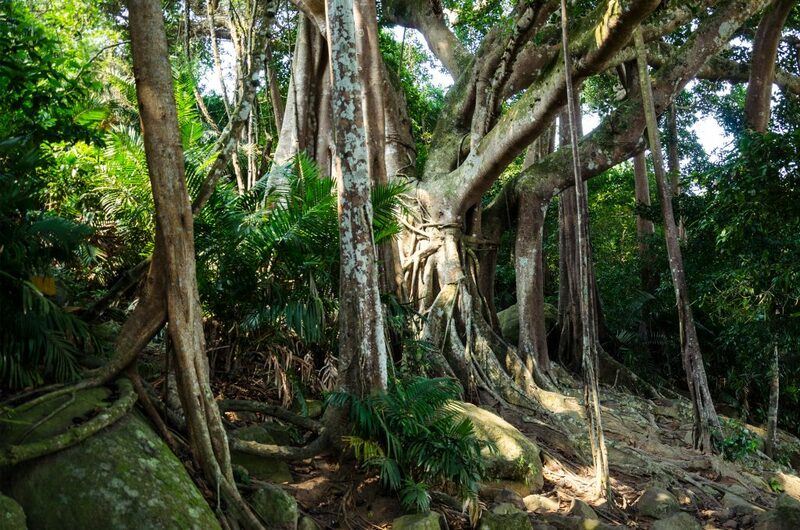 Its complex of roots has grown down to form secondary trunks supporting the massive structures mushrooming from the centre. After that go back to the crossroads and go the other way – up, past the entrance to the Sun Tra Peninsula Resort. This part is very, very steep. Our old scooter barely made it. I had to get off and run up the hill, while Chris tried to drive it to the top. We made it eventually, but it is a warning – the roads at Son Tra Peninsula aren’t the best and your scooter needs to have good brakes and enough power to make it through some steep parts. Once you get to the top of this little hill, go right. This part is called the Monkey Passage. 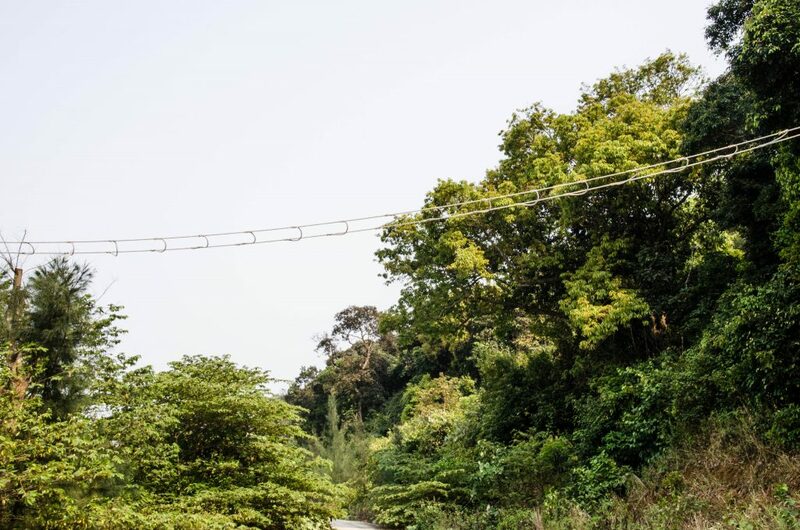 This area is a home to the Red Shanked Douc – a very rare monkey, who is a little shy and doesn’t like to interact with people, but here and there you can see special ropes hanged over the road, to make it easier for the monkeys to cross it and not getting hit by a passing vehicle. Chris was lucky to see one, running into the bushes. 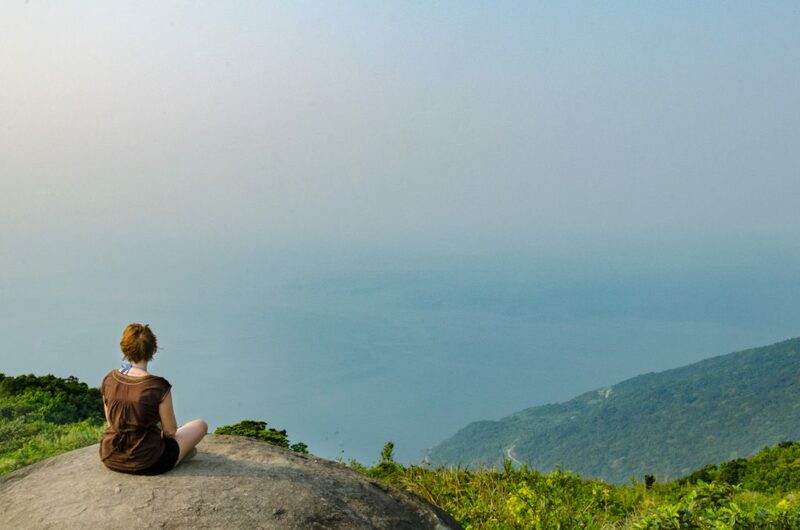 Some say that if you go hiking in the hills you might be able to spot whole families of them. While driving, look on your right. 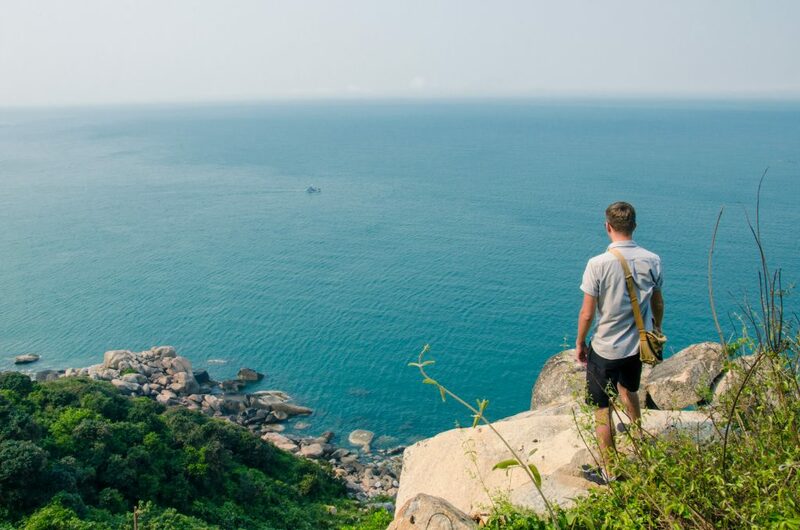 The road doesn’t have any view points, so you might need to climb some gravel to see the ocean in its whole glory, but it is really worth it. 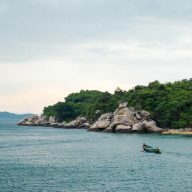 The Monkey Passage has the most beautiful views in the whole Peninsula. Your next stop is Ban Co Peak. 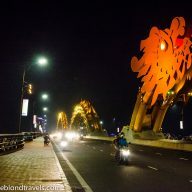 The entrance here is free, but you need to pay 2000 VND for the parking. This is probably the most crowded spot in the area and by ‘crowded’ I mean – there will probably be around 7 other people with you. From here you can enjoy panoramic views over the city, but only if the day is clear enough. 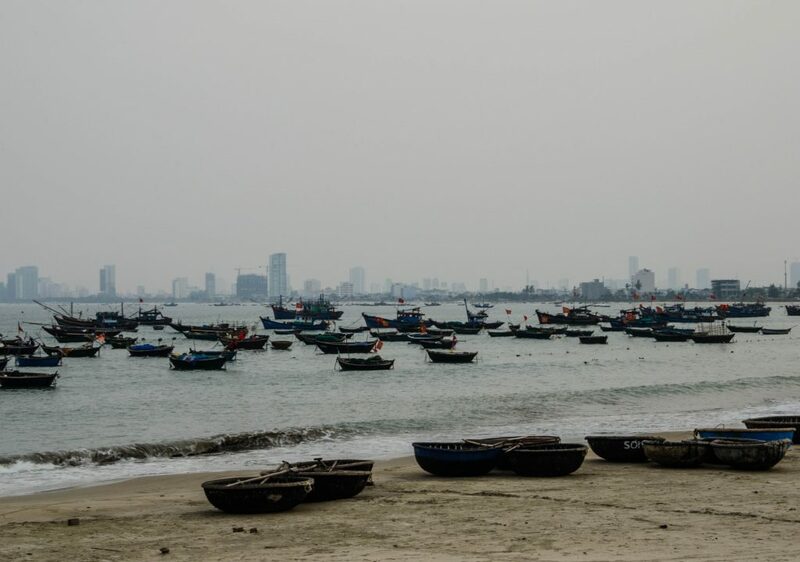 Da Nang is a very humid place and the humidity here turns into a mist and covers the city. We didn’t manage to see the panorama, but the spot was beautiful any way. 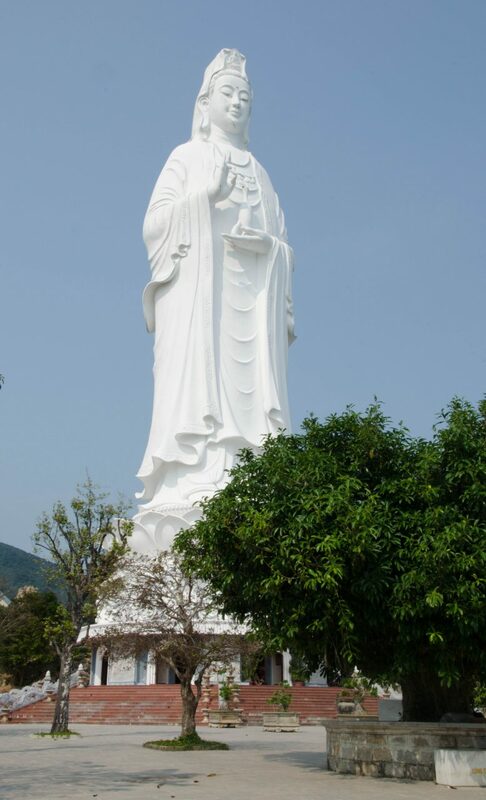 Ban Co Peak is also famous for the statue of Confucius. 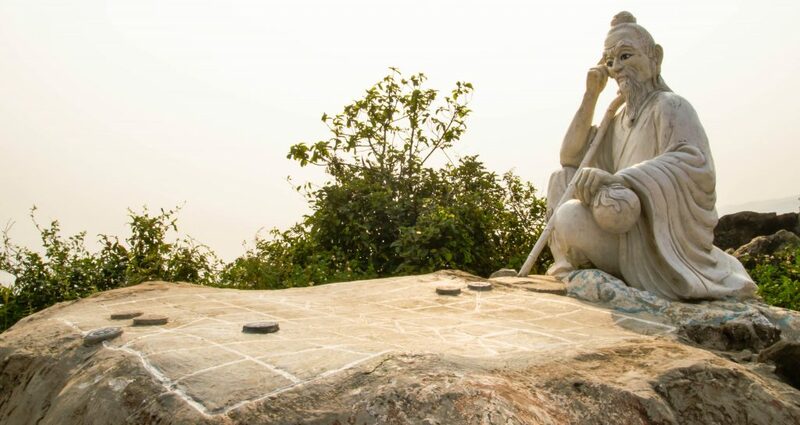 This bronze statue of the great philosopher playing chess is a tribute to the man, who greatly influenced the Eastern culture. 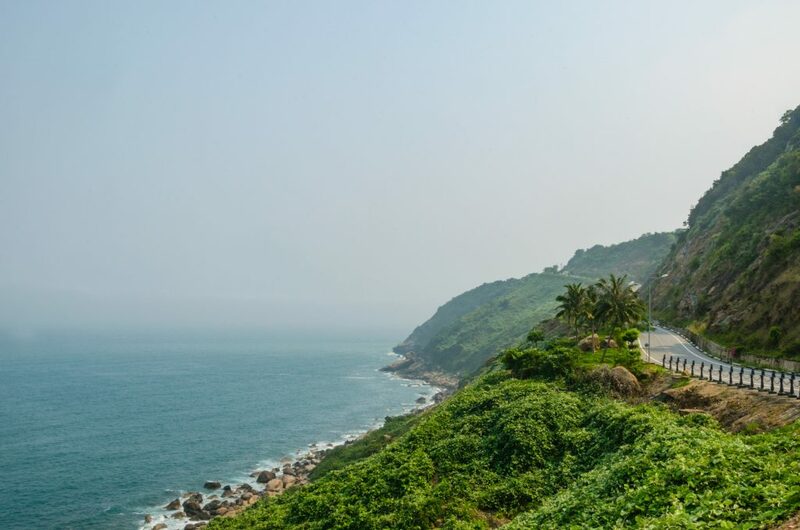 Son Tra Peninsula holds other treasures, such as Spanish and French War Graves, Black Stone Beach and Tien Sa Harbour. However, it is impossible to see it all in one day. We didn’t have a chance, as the day was coming to an end. We will definitely go back to explore more. 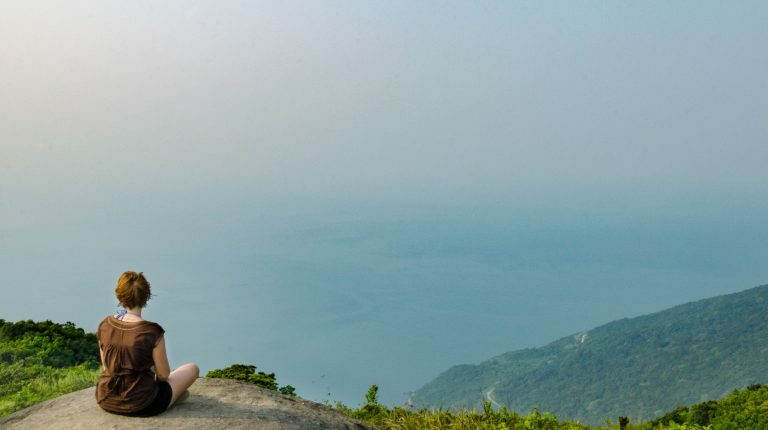 If you would like to rent a taxi, then a car can only take you to the Man Thai Village, Linh Ung Pagoda, Ban Co Peak and probably to the Banyan Tree, although we didn’t see any taxis there. There are no facilities on the Son Tra Peninsula, except fancy 5-star resorts at the beginning of it. The rest of the road doesn’t have any hotels or any other accommodation options. You might try to camp in the forest, but I am not sure how safe that is. 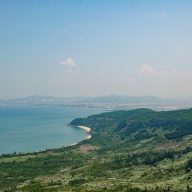 There are no shops on Son Tra Peninsula and you might want to consider taking some snacks and water with you. I would recommend taking sunscreen and better shoes than sandals, or flip-flops. There are no hiking opportunities, but you might have to ‘fight’ some gravel, sand and rocks to get some photos of the magnificent views. Having a GPS on your phone and a map of the area is great, too. There are no good signs around the Son Tra Peninsula and it’s easy to get lost.